Recently we have heard news about Huawei launching its foldable phone soon, and now the South Korean giant has confirmed that its handset will be coming this year. In an interview, Samsung’s mobile division CEO has confirmed that the company will be introducing its first foldable Galaxy device this year and it is also said that the firm made a survey which gave positive results on the foldable device. Earlier rumors suggest that the foldable Galaxy phone will be announced early next year but the new news contradicts it. The CEO also revealed that the handset can be revealed at the Samsung Developers Conference 2018 which is set to be taken place on November 7 and November 8 in San Francisco. It is also mentioned that the device will come with many new functions when it is unfolded. Let’s wait for few more days and see how the device would turn up. 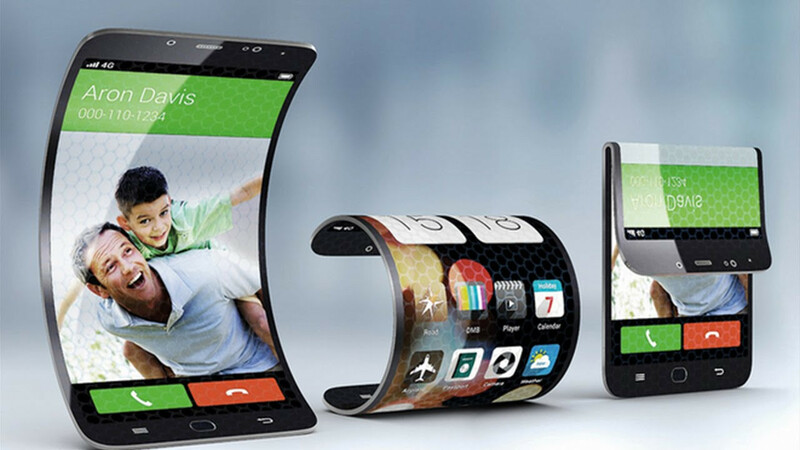 Earlier: For the last couple of years, we have been hearing news regarding foldable smartphone by Samsung. The company has showcased the foldable concept devices at the SID display week conference which was held in San Francisco in the year of 2016. Also, the Nokia has exhibited with OLED foldable displays with two fold and three fold options in 2014. 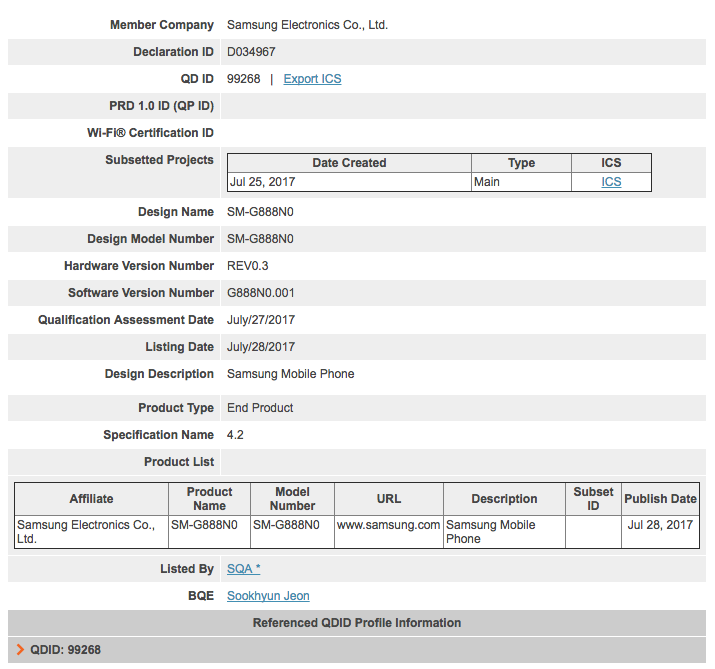 Now, The South Korean giant has passed a new smartphone for Bluetooth certification by Bluetooth SIG which has a model number of SM-G888N0. Few reports are suggesting that it would possibly a much-anticipated foldable concept smartphone called as Samsung Galaxy X. However, the Bluetooth certification listing hasn’t revealed any hardware specifications, but it has shown Bluetooth V4.2. In recent time, the Samsung mobile devices sent to Bluetooth certification which supports Bluetooth v5.0. But on the date of launch, this smartphone would support Bluetooth 5.0. Four months ago, the same model number was earlier spotted on WiFi alliance. Talking about the rumored specs, this phone would feature 5.7-inch AMOLED display which has a resolution of 2560 x 1440 pixels. It would come with just 0.3mm thickness and comes with a curvature of a 10mm radius and weight just 5 grams. However, the company has to confirm when the Foldable smartphone is going to be released officially. Few reports are suggesting that this smartphone would be released in the fourth quarter of this year or early next year. However, The company is going to release a new note series smartphone on August 23rd called as Galaxy Note 8. Also, Samsung Galaxy S8 Active smartphone would also be released very soon, which has been leaked full set of hardware specifications and few images of the device in recent times. The other manufacturer companies would also be working on foldable concept smartphone with their upcoming smartphones.